The cast previewed the series finale to ET Canada and reflected on what drew audiences to the antiheroic titular character. 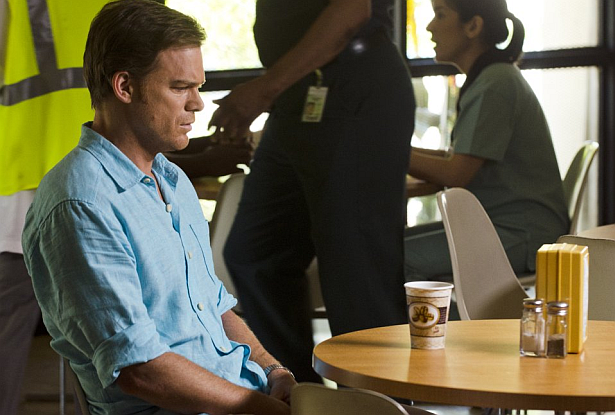 "Dexter's going to have to deal with this mess because this has not been a bad dream. It's really happening," said Michael C. Hall, who plays serial killer "Dexter Morgan" on the Showtime series. To preserve the secrecy of the finale, the cast was sparing on details for the show's ending episode, but Hall nevertheless cast a little light on what viewers can anticipate from the episode. "It's a difficult thing to try to say something worth hearing without giving anything away, but somebody's probably going to die," Michael C. Hall said. Skip the jump to watch Michael C. Hall, Jennifer Carpenter, David Zayas, Yvonne Strahovski, Desmond Harrington, C.S. Lee and Aimee Garcia discussing the finale episode of the series, the potential spinoff and more.